Scooby-Doo is just timeless; It has played a huge part of the boys childhood, as it did mine. Back in the day of 3 TV channels I remember rushing home from school, making a bowl of vanilla ice cream with crushed up flake and sitting to watch Scooby-Doo with my 2 lovely brothers. Its funny, as I was sat in the kitchen typing up this post I heard Joe in the lounge watching T.V, when I checked on him, kid you not, he was watching Scooby-Doo. It really made me smile, they just never grow of it. They have both had many hours of fun with their Scooby-Doo mini figures and mystery machine, and spent many happy hours watching the escapades of Scooby, Shaggy, Fred, Daphne and Velma and my personal favourite Scrappy Doo. After watching this I just know the new Scooby-Doo Lego is going to be high up on Joe’s Christmas list, he and Jack love-making stop motion videos with Lego. This will require hours of strategic planning and no doubt our hallway which is usually the movie location set, will become out off bounds to us adults during filming. To get one lucky reader started I am so pleased to offer this amazing giveaway to win a £150 Gift Card from Smyth’s, and what an incredible prize with Christmas only around the corner. All you need to do is complete an action in the rafflecopter below and enter to win! Good luck. My Weekly Round Up, Dilemma! My son loves Scooby Doo at the moment and Lego Scooby Doo is on his Christmas list. I always loved Scrappy Doo. 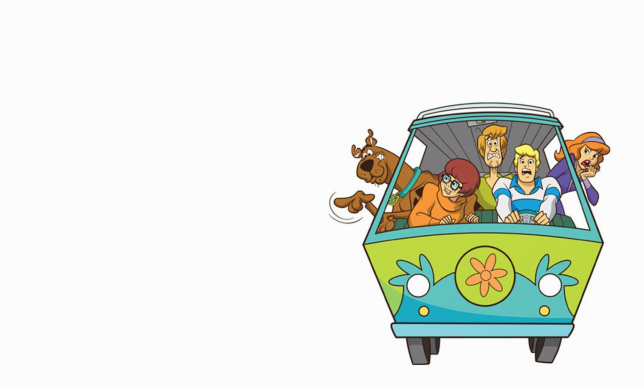 Scooby Doo is a big part of our household entertainment-equally for the kids & grown ups! Always wanted to have my very own mystery machine when I was little! I grew up watching Scooby doo. We all loved it in our house. Scooby madhouse here, Loved it when I was a kid and so happy that my son loves it too! What a fab comp, that’ll really help with Christmas! Scooby Doo is perfect with Halloween coming up. Yikes! For my nephew Olly who is four and loves Scooby.